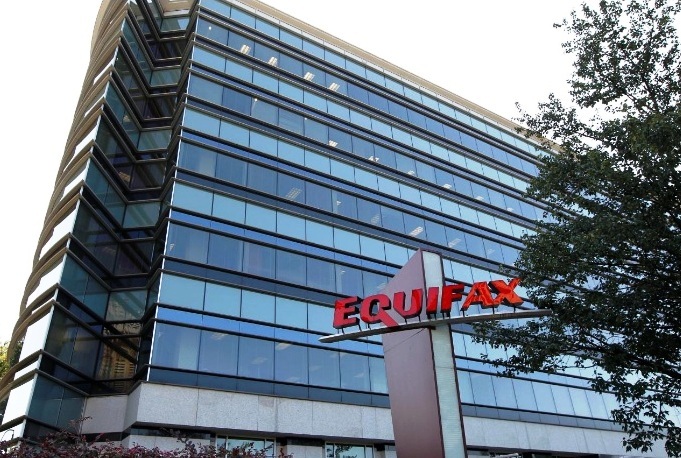 FILE PHOTO: Credit reporting company Equifax Inc. corporate offices are pictured in Atlanta, Georgia, U.S. The credit-monitoring company announced the changes in a press release that gave its most detailed public response to date of the discovery of the data breach on July 29 and the actions it has since taken. Lawmakers, regulators and consumers have complained that Equifax’s response to the breach, which exposed sensitive data like Social Security numbers of up to 143 million people, had been slow, inadequate and confusing. Equifax on Friday said that Susan Mauldin, chief security officer, and David Webb, chief information officer, were retiring. Rohrwasser has led the company’s international IT operations, and Ayres was a vice president in the IT organization. The company also confirmed that Mandiant, the threat intelligence arm of the cyber firm FireEye, has been brought on to help investigate the breach. It said Mandiant was brought in on Aug. 2 after Equifax’s security team initially observed “suspicious network traffic” on July 29. The company has hired public relations companies DJE Holdings and McGinn and Company to manage its response to the hack, PR Week reported. Equifax and the two PR firms declined to comment on the report. Equifax’s share prices has fallen by more than a third since the company disclosed the hack on Sept. 7. Shares shed 3.8 percent on Friday to close at $92.98. U.S. Senator Elizabeth Warren, who has built a reputation as a fierce consumer champion, kicked off a new round of attacks on Equifax on Friday by introducing a bill along with 11 other senators to allow consumers to freeze their credit for free. A credit freeze prevents thieves from applying for a loan using another person’s information. Warren also signaled in a letter to the Consumer Financial Protection Bureau, the agency she helped create in the wake of the 2007-2009 financial crisis, that it may require extra powers to ensure closer federal oversight of credit reporting agencies. Warren also wrote letters to Equifax and rival credit monitoring agencies TransUnion and Experian, federal regulators and the Government Accountability Office to see if new federal legislation was needed to protect consumers. Connecticut Attorney General George Jepsen and more than 30 others in a state group investigating the breach acknowledged that Equifax has agreed to give free credit monitoring to hack victims but pressed the company to stop collecting any money to monitor or freeze credit. “Selling a fee-based product that competes with Equifax’s own free offer of credit monitoring services to victims of Equifax’s own data breach is unfair,” Jepsen said. Also on Friday, the chairman and ranking member of the Senate subcommittee on Social Security urged Social Security Administration to consider nullifying its contract with Equifax and consider making the company ineligible for future government contracts. The two senators, Republican Bill Cassidy and Democrat Sherrod Brown, said they were concerned that personal information maintained by the Social Security Administration may also be at risk because the agency worked with Equifax to build its E-Authentication security platform. Equifax has reported that for 2016, state and federal governments accounted for 5 percent of its total revenue of $3.1 billion. The problem is not restricted to the United States. Equifax said on Friday that data on up to 400,000 Britons was stolen in the hack because it was stored in the United States. The data included names, email addresses and telephone numbers but not street addresses or financial data, Equifax said. Canada’s privacy commissioner said on Friday that it has launched an investigation into the data breach. Equifax is still working to determine the number of Canadians affected, the Office of the Privacy Commissioner of Canada said in a statement.